Between Terracina and San Felice Circeo in LIDO DI VENERE (km 104,200 of the Pontina) penthouse and penthouse for rent on 2 levels at 50 meters from the sea consisting of lounge, 3 bedrooms, 2 bathrooms, kitchen and large terrace. In detail: 1 level - a double bedroom, a room with three beds and bathroom with shower. 2 level living room with three sofas (one bed for 2), kitchen, bathroom with shower and bedroom with 1 single bed. Closets in every room and large closet in the hallway. Terrace of 30 square meters equipped with tent, table, chairs, barbecue and sofas. Washing machine, dishwasher, microwave oven, 40 'flat screen TV, Wi-fi. 2 frigoferi, electric coffee maker, kettle, hob. Included in the price: household linen, everything needed for cooking, gas, electricity and wifi included. At guests' disposal 2 umbrellas and 1 bicycle. The location of the apartment is great, 5 min walk to the sea. We had a car which made it easy to visit the town and supermarkets. Facilities are ok for the price. It's a pity that there was no kettle to boil water for tea. Check-in and check-out were perfect, thanks to Cristiana. Thanks Kostantin you have been good guests! 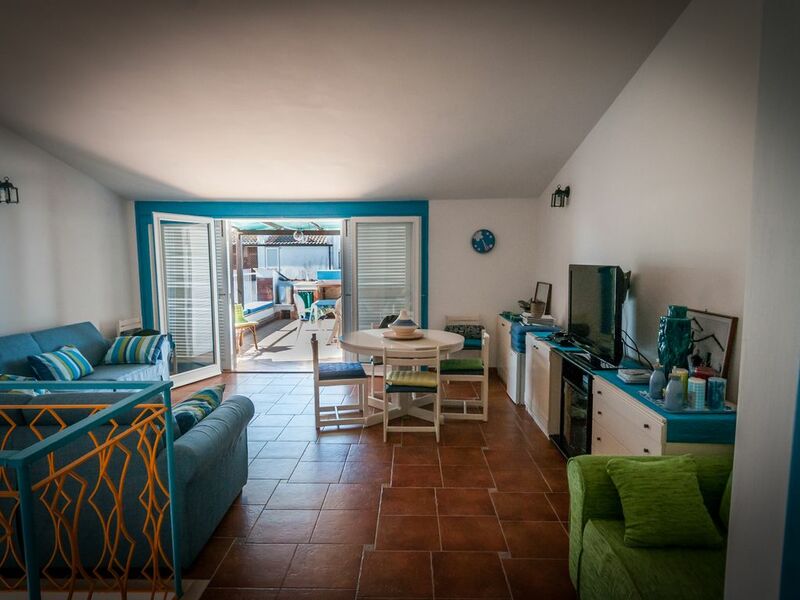 Very nice place, beautiful terrace and Cristiana has always been available and ready to help! Grazie Sergio, siete stati degli ottimi ospiti! L'appartamento è decisamente ampio,pulito e attrezzato di tutto.Bellissimo terrazzo con ampio tavolo e con barbecue per grigliate in compagnia.La zona è adatta x famiglie con bambini.